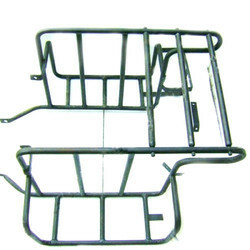 Rouf Rails Manufacturing Car Accessories, Luggage carrier, Front Bumper Guard, Side Foot Steps in coimbatore, Tamilnadu, india. We are offering high quality Luggage Carriers. We offer durable and precision engineered Roof Carrier. These Roof Carrier are developed for varied auto mobile purposes. Available in different specifications, the entire spectrum can also be customised as specified by the clients. 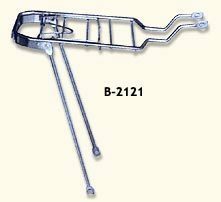 Being a leader in the industry, we are engaged in offering a qualitative range of Bike Rear Carrier to our customers. - Suitable for Sedans, Hatchback & SUVs. With immense market knowledge, we have been able to provide optimum quality Car top luggage carrier.